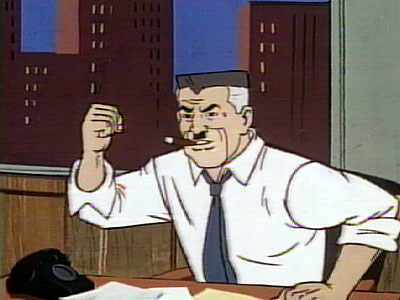 Okay, so not all editors are like J. Jonah Jameson, the Spiderman-hating, cigar-touting, shouting boss constantly looking for the latest spidey scoop. The Open Newsroom and community involvement is one of the biggest parts of the digital news evolution, and it’s fascinating to think where this may lead. Of course there’s Canadian startup Openfile, which is a completely community-driven enterprise, with stories suggested by readers. It was heralded when it launched in May of 2010 as a whole new way of thinking about news. And let’s be honest, we have to change the way we think about news, and we have to involve our community. We’re no longer just reporting stories, we’re sharing them. And by getting our community involved in the process, they become a part of the organization. How’s this for engaging your audience? Hats off to Matt DeRienzo and the folks at the New Haven Register. Not only were they bold enough to ask their readers about their commenting system, they threw open the doors and invited people in. We all talk the good talk about engagement, and listening to our readers, but these folks were ready to sit down and take it. It doesn’t matter that it was a small gathering – four people in attendance and more watching online – this was the company’s first step in asking readers what they thought of the Register’s new commenting guidelines before they came into effect.